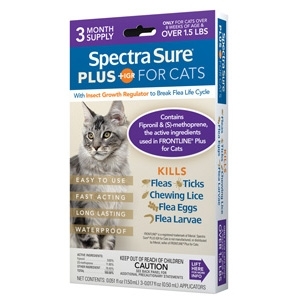 Use Spectra Sure® PLUS IGR for Cats monthly for complete control of flea, tick and chewing lice infestations. Spectra Sure® PLUS IGR for Cats kills adult fleas, flea eggs, flea larvae and prevents the development of pupae for up to 6 weeks. 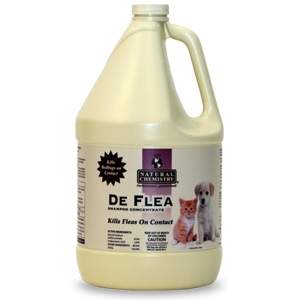 Apply monthly if your cat is at high risk for flea reinfestation. Apply monthly to control ticks, and chewing lice. Spectra Sure® PLUS IGR for Cats remains effective, even after bathing, water immersion, or exposure to sunlight. Allow treated area to dry thoroughly. Do not reapply for 30 days.